Hi, I’m Jacob Capin. I did my first triathlon in June 2012, just months after finishing my collegiate basketball career at Christopher Newport University. 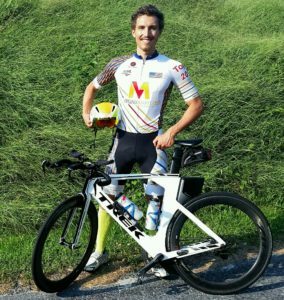 Since then, I have completed over 40 triathlons and several duathlons—first racing as a graduate student for the University of Delaware Triathlon Club Team and now for Trek Mid-Atlantic. I mainly race short course and can often be found doing the Kinetic Multisports “doubles”, completing Olympic and Sprint triathlons at the same venue on back-to-back days! I have also raced a few 70.3 triathlons and plan to do more long-course events in the coming years. As a physical therapist, PhD candidate in biomechanics, and health enthusiast, multisport events are integral to my personal and professional mission. I believe participation in triathlon and other endurance multisports has the power to positively transform one’s life and support lifelong health, fitness, and wellness. 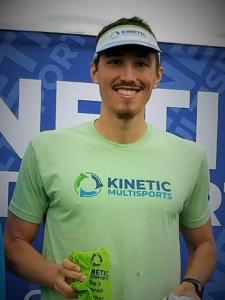 As a Kinetic Multisports Ambassador, I am eager to help you complete your first race, have a faster transition time, or just chat about the many incredible opportunities our sport has to offer!